I have to share…last Saturday’s meeting on Ho’oponopono was a huge success. We had another great group. Everyone enjoyed the process and got great results. They realized how easy it can be to forgive and the awesome benefits of practicing the process. Now they have the tools to do this on their own. It is recommended that you do this process on a regular basis. There are so many scientific studies heralding the benefits of forgiving others and especially yourself. 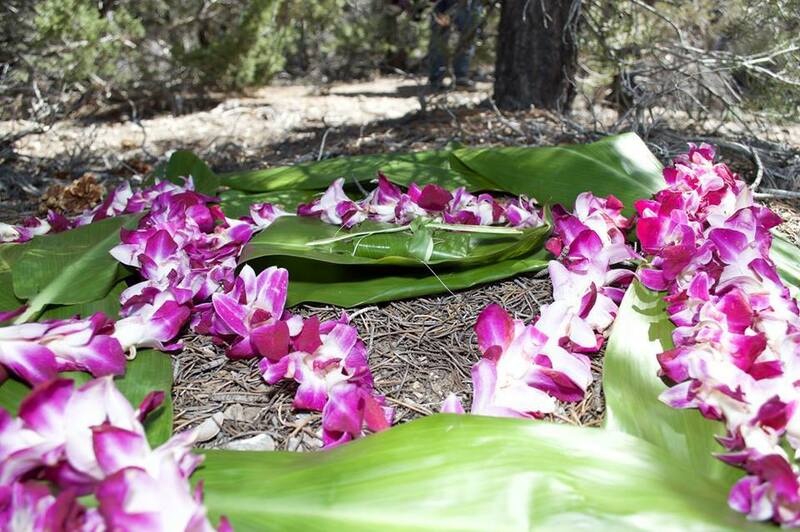 Two of the key aspects of the ancient Hawaiian form of Ho’oponopono are, first, forgiveness must be in both directions, between the transgressor and the person whose boundaries were violated. The process is mental, in your head. Intellectually it can be hard to forgive. This leads to the second important part of the process. Secondly, because intellectually it is sometimes hard to think about forgiving, the Hawaiians also believed that you had to cut the energy connection between the offender and the person offended. This is done by cutting the Aka cord or energy connection between the two. By doing this you have also released any of the negative emotion and baggage around the connection. As a result, with the negative emotions gone you are now in a calm, centered, balanced place, Pono with yourself inside and out. Now, you have access to resources to more effectively make decisions about yourself and what you want to do about your future. One of the comments shared after we were finished was that it was easy and fast. Individuals felt a definite change, lighter, happier, released, refreshed. Some noticed things happening inside as we went through the process. We talked about offering this on a regular basis since it’s a good thing to do. Please let us know if you have any questions about the process or if you are interested in exploring this process again in the future. As our presence and interest grows here in Phoenix I’m planning to continue offering these meetings in the fall and throughout the winter. I have also been asked about the weekend workshops in October, November, and December 2018. Some questions include who can/should attend. When will it be held? Where will it be held? What will it cost? Who can/should attend? Anyone interested in improving and creating their life, learning how to release and be free of whatever it may be holding them back. The advantage of covering the information in a weekend is that there is a flow or continuity to the process. By having the same group working together through the processes and information we can cover more material without review. Also as we learn about and practice the teachings the benefits build on each other and thus create additional benefits in the moment and in the future. People who have attended meetings thus far will get a chance to deepen the understanding and practice of the processes they have already learned. When will the weekend be? I’m thinking in October, November and/or December depending on the venue and availability. We will need to have a viable, confirmed group in order to secure a location. Where will it be held? I want this to be open to as many individuals as want to attend. So we will ask those of you who want to attend what would be preferred. One location is the SedonaMagoRetreat. This is operated by the Taoist Fellowship, a non-profit organization outside Sedona. It is a beautiful facility. Another possibility is a location here in Phoenix. What will the cost be? That will depend on what location we choose and how many confirm attendance. I want this to be available to any and all who want to attend. Previous: Previous post: How to Choose the Right MeetUp Group or Workshop…. Next: Next post: (Video) Nature is the key to existence.